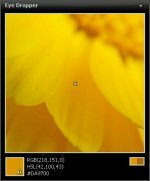 Welcome to the Young Smart Software Instant Color Picker Website! 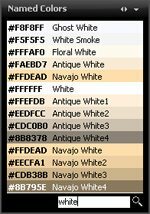 With Instant Color Picker (ICP), you can quickly pick colors from screen and store them. ICP is a designer’s best friend! Latest version of ICP is: 2.5.0.32. ICP is freeware. Click here to download ICP! Love that color? With Eye Dropper, you can pick colors from any part of the screen. You can zoom up to 8x or get 3×3 – 5×5 pixel average. You can also use navigation keys! It was a commercial product before. As of 2009, I’m the only developer left and I don’t have enough resources to support a commercial application. In addition to that, I think ICP is a cool product and deserves more popularity. So it is free now. Even for commercial purposes. If you enjoy using ICP please consider donating, so I can cover my hosting expenses. Thank you! For all support related questions, please contact us via our Contact Form, thank you! Forza Media provides affordable web development solutions specializing in the i-gaming industry. 5dwm.org – home of the MaxxDesktop linux software. NoLimitMedia.com provides responsive and mobile friendly website design for gaming industries. Visit http://pokercasinodownload.com for free games and downloads. Get the free Americas Cardroom download here.